What an unwholesome atmosphere in this repulsive bathroom! Just look at the mould on the walls and fittings! There are tiles missing from the surfaces and the overall look is extremely shabby and run-down. Can this be the same bathroom?! The surfaces are in light colours, which is the ideal choice for a small bathroom—they heighten the sense of space and reflect light for a brighter effect. The sleek fittings, glass panels and contemporary recessed lights enhance the stylish ambience while the wooden cabinet is an elegant contrast. 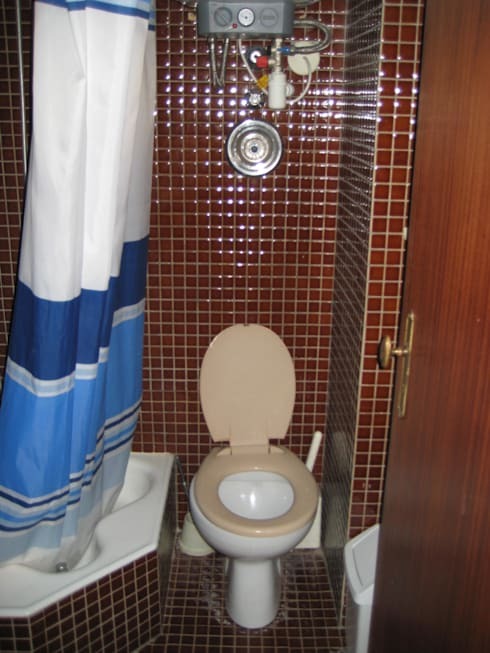 The conflicting tiles, ugly shower cubicle and outdated fixtures combine to create an aesthetically unappealing bathroom. 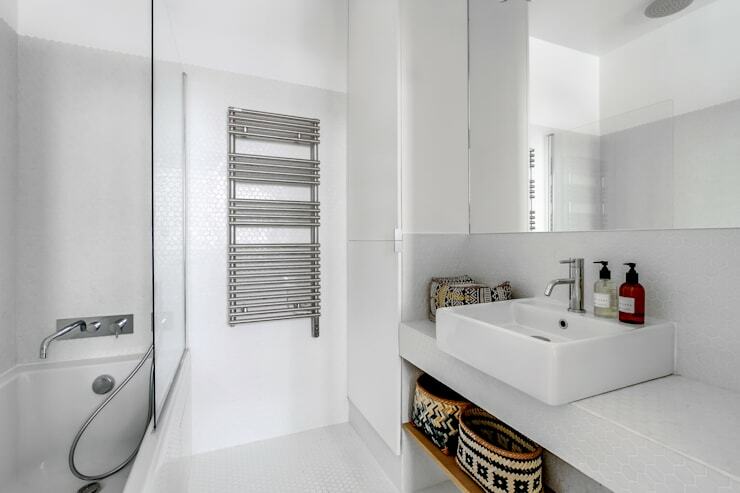 We just love the tasteful remodelling of this bathroom! Its monochromatic colour scheme is very sophisticated, and the large mirror, modern fittings and stylish shower panel complete a spectacular picture. 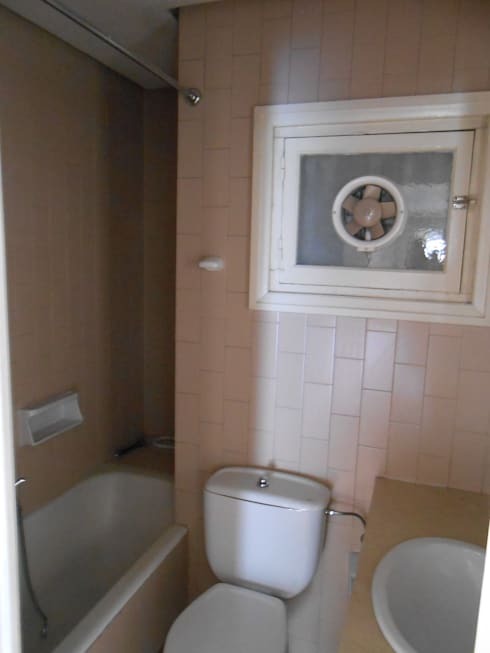 Just look at this overdose of tiny brown tiles, teamed with a white and blue curtain and a peculiar beige toilet seat – what a terrible colour scheme! You just can't go wrong with a modern white finish! 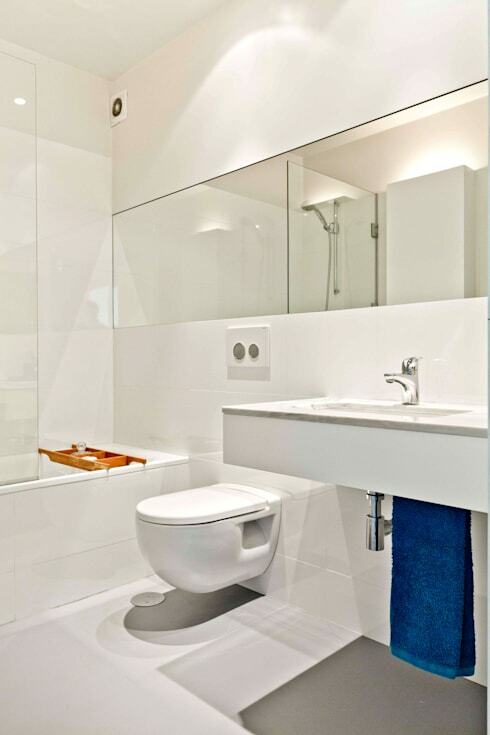 Complemented with glass panels, a beautiful big mirror and chic fittings, this is now a simple yet elegant bathroom. 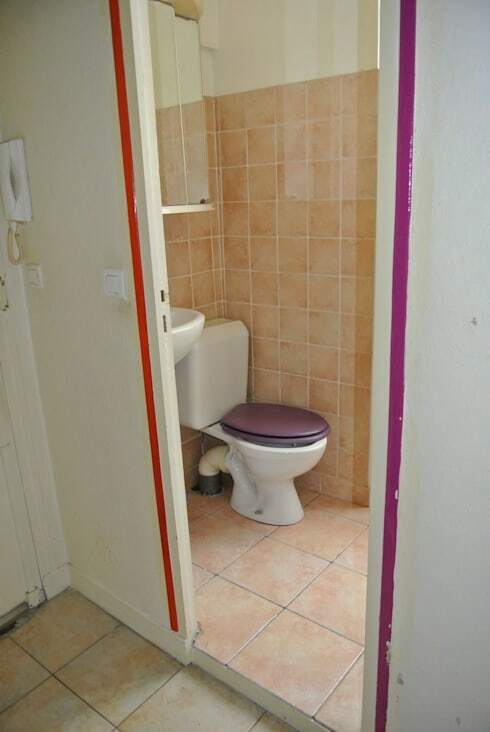 We wonder why anyone would match apricot tiles with a purple toilet seat? The two long stripes on either side of the door look peculiar, too. The renovated bathroom is a linear white beauty! With the simplicity of clean lines, glass panels and neutral woven accessories, this is a vision in minimalist elegance. 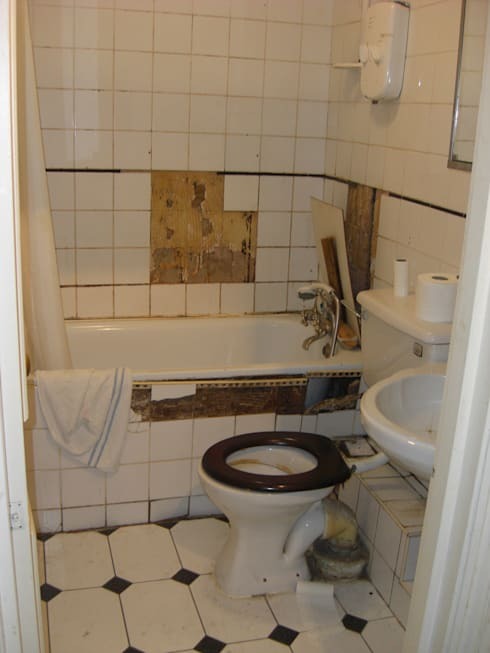 What a depressing and cramped bathroom! The décor is mediocre at best; the air vent looks out of place and the dark corner is decidedly grim. 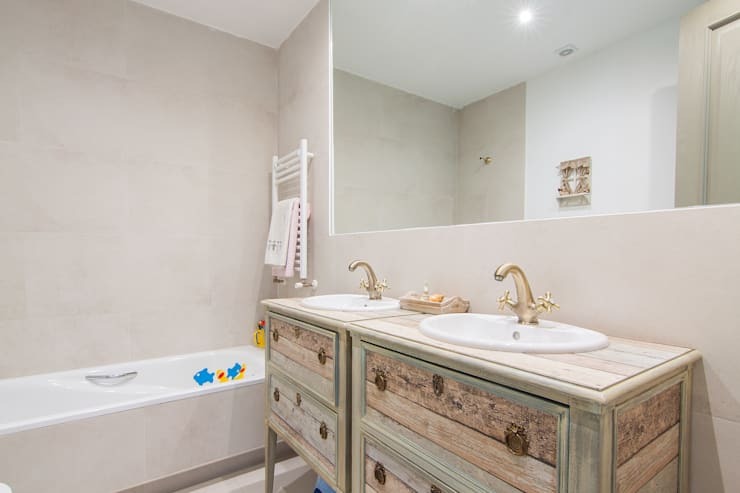 The vintage look of the washbasin is so classy – what an innovative idea for a modern family bathroom! The vibrant fish in the bathtub are perfect for children. And so, we've reached the end of our 5 brilliant bathroom makeovers! Here are few more bathroom ideas to pique your interest: 16 modern bathrooms with fabulous showers! Which of these makeovers impressed you the most?